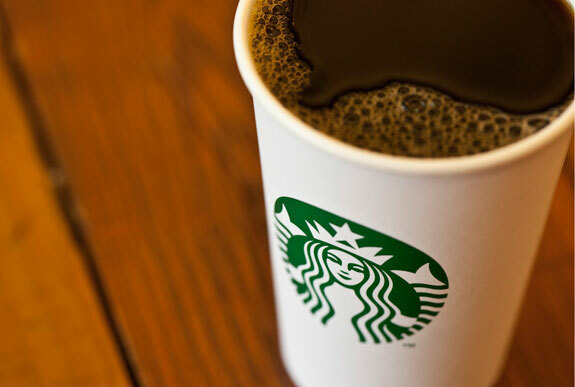 Seattle, WA – As TAPPI attendees sipped on white coffee cups with a green siren logo, Brent Denniston, Starbucks VP of global procurement, said the company is fully aware of the profound effect of its packaging. “Packaging waste is the number one environmental issue to many consumers,” he said. At the TAPPI PLACE (May 6-9; Grand Hyatt Seattle) Conference, Denniston and Gail Tavill, vp of sustainable development for ConAgra Foods, both spoke about packaging for their brands. The topic of packaging sustainability and recycling were prevalent in both speeches. Despite a somewhat unmatchable brand loyalty in the coffee space, Starbucks still takes heat due to the potential negative environmental impact of its disposable cups. Starbucks paper coffee cups, partially made from recycled content, are constructed with a polymer-based liner to prevent hot liquid from leaking. Dennison highlighted several initiatives the company has undertook to produce a greener cup such as rolling out plastic cups for its cold beverages that are produced with polypropylene cups and lids, and launching new lightweight plastic cups to reduce resin consumption. While Starbucks is interested in composting, he said the company’s first preference is recycling. However, Denniston said one major challenge of recycling is recovering. As of now, once the cups leave the stores, it’s up to the consumer to recycle the product, but recycling success depends on the availability of commercial recycling services where the company’s stores are located, he said. In an attempt to provide a solution to the recycling issue, Starbucks has launched in-store recycling programs at select stores. While the program has hit some hiccups along the way, Denniston said the company is committed to eventually offering in-store recycling on a wide scale. In addition, Starbucks has a goal of making 100% of its cups reusable or recyclable by 2015. “It’s a challenge, creating a dynamic where the consumer will bring in a reusable cup, that we have to figure out how to leverage,” Denniston said. He hinted there maybe a product to address this initiative hitting stores in the next coming months. Starbucks is also looking into reducing packaging from its whole bean and ground coffee products, and various other packaging products. With regards to its packaged coffee product, Denniston said Starbucks isn’t satisfied with the packaging. Gail Tavill with ConAgra Foods said sustainability isn’t just about what’s right for the environment, there’s also a business case for it. “Companies that follow more sustainable practices have more sustainable economics,” she said. Since packaging arguably has a reputation as wasteful, Tavill said it’s important to remind people about the value of packaging. She pointed out various packaging examples the company implemented for a more efficient and sustainable use of materials. ConAgra Foods was the first company in North America to incorporate post-industrial recycled polylactic acid into shrink film packaging materials. By collaborating with its suppliers, the company converted 260,000 pounds of resin from non-renewable resources (PVC and PET g) to PLA. The company’s PLA shrink film contains more than 50% post-industrial recycled material, and it uses this material for tamper-evident seals on some of ConAgra Foods’ table spreads. The company also uses recycled PET in some of its frozen food trays. ConAgra uses several sizes of the trays for Healthy Choice, Banquet, Kid Cuisine, and Marie Callender’s brands. Nearly all are pigmented black. Still, rPET and virgin PET have somewhat different functional properties and chemistry, which created several challenges in blending, extruding, and thermoforming the trays so they would meet both the company’s and FDA standards. However, once those hurdles were tested and cleared, the trays were ready for the public. Tavill said sustainability is complicated process from all perspectives.